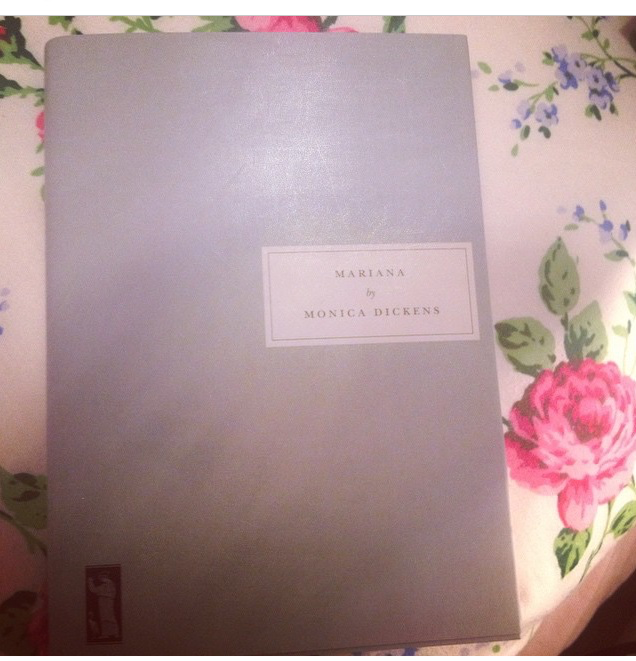 Mariana is a novel following the life of Mary Shannon as she moves from childhood to young adulthood (for some reason I remember reading that they didn’t have teenagers until the 1950s?) to marriage. It opens at the start of the War and with her new husband away fighting Mary takes off with her dog to a secluded cottage to escape from her worries. It is here on the wireless that she hears some terrible news and, due to storms cutting off communication lines, she must wait until morning to discover if her worst fears are to be realised. The narrative then moves to Mary’s childhood and her love for her Grandparents’ Somerset home, Charbury and her cousin, Denys who Mary is infatuated by. Her whole childhood and time at school is spent in awe of Denys, keeping a secret engagement and doing anything he asks, such as jumping off a garden wall. It is not until she visits him at Oxford that Mary realises how silly her girlhood dreams were. Her life then takes her to acting school (a dismal affair) to Paris and a more public engagement to a Parisian who cares rather too much for the showy and finer things in life and then back to London to meet the perfect man. And then the War begins. I couldn’t think of a better way to sum up England if I tried and just to make it clear I love living in England. That being said I feel as though it has taken me a long time to read a relatively short book, well 370+ pages. I’m completely blaming this on moving and I promise that will be the last time for a few months that I blame anything on this…well apart from when I can’t find a certain book because it’s packed in a box somewhere. In places Dickens’ description is lyrically beautiful; there is a fantastic passage detailing two young men strolling across a sunlit lawn that just instantly brought that image to my mind and made me wish for those hot, lazy summer days. In places I laughed and in places I cringed as I was reminded of a young me and all the silly infatuations your teenage years brings. One particular quotation I snapped on my phone was Granny’s response when Mary asked if her school friend could visit Charbury: ‘Of course, Darling. Bring the whole school if you like.’ I found Mary such an endearing protagonist; she was such an ordinary, young woman, in fact I think she is even described as ‘not a beauty.’ She goes through all the dramas and dilemmas anyone growing up faces, from finding your career path to being fooled by the superficial facade of some people. Who amoung us hasn’t fallen madly in love with some handsome guy only to find that actually there isn’t that much going on behind the eyes? Mariana can successfully be added to the list of Persephone Book I have thoroughly enjoyed. For me it is the romantic simplicity of the narratives that I truly love and I know I will always be transported to a beautiful world. Mariana ticks off a book in three lists: 1940 in my Reading the Twentieth Century; book 6 in my TBR Pile 2015 and Somerset in Reading England. An excellent review. I think I would enjoy this book too… and it is a perfectly apt description of our beloved England. Thanks for sharing. Thank you. I can definitely recommend any Persephone Book and this one is pretty sweet. A lovely quote, and thank you for such a good review that reminded me why I loved this book. Thank you. I love all the Persephone Books I have read so far and I think rereading them will be a joy. Hope you get round to it soon.